High-strength non-shrinkage grouting material (non-shrinkage cement, super-early-strength grouting material, high-strength non-shrink grouting material, cement mortar reinforcement material, cement-based grouting material) is made of high-strength material as aggregate and cement as the base material, supplemented by High fluidity, micro-expansion, anti-segregation and other substances are formulated without iron ion and chlorine salt; early strength, high strength, micro expansion, good fluidity, non-corrosive, impact resistance, vibration resistance. 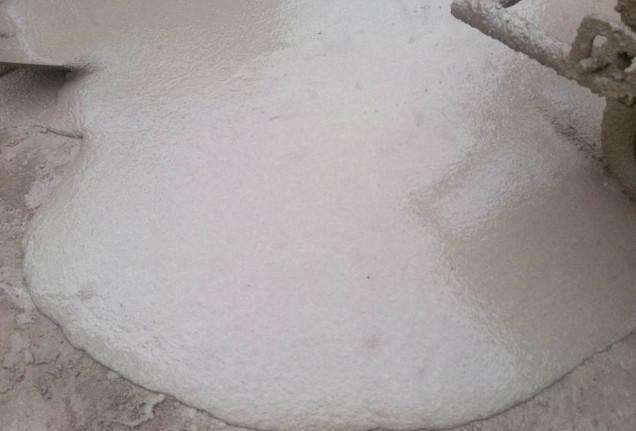 The slurry can be self-flowing and the grouting material can automatically infuse narrow gaps under shock-free conditions, adapting to pouring and grouting such as complex structures, dense reinforcements, and narrow spaces. 1. Early strength, high strength: 1-3 days compressive strength up to 30-60Mpa or more. 2. High self-flowability: It can fill all the gaps to meet the requirements of secondary grouting equipment. 3. Slightly expansive: ensure close contact between equipment and foundation, no shrinkage after secondary grouting. High bond strength, The grip strength with the round bar is not less than 6Mpa. 4. Can be used in winter construction: It is allowed to perform outdoor construction at 10°C temperature. 5. Durability: This product is an inorganic cement material, the service life is greater than the service life of the base concrete. One million fatigue tests showed no significant change in the strength of 50 freeze-thaw cycles. After soaking in oil for 30 days, the strength increased significantly. 1. Applicable to foundation grouting equipment foundations, anchor bolts and other equipment. 2. Reinforcement, repair and reinforcement of beams, slabs, columns, foundations, floors and roads of buildings. 3. Anchoring and structural reinforcement of anchor bolts and steel bars can be carried out. 4. The subway, tunnel, underground and other projects will be counter-punched by construction joints. 5. Secondary grouting with steel structure (steel rail, steel frame, steel column, etc.) fixedly connected to the foundation. Thickening water retention components, aggregates.